Persuasive messages are crafted by having all the write tools. Compelling copy engages audiences across several platforms – web, print material, video scripts, social media, magazine articles, media releases and advertising. At Effective Edge, everything we write is crafted to deliver a clear, consistent, and targeted message. By harnessing the power of words to create catchy taglines, calls to action, and convincing content, we bring your ideas to life. With a history of clients finding their way to Way-Mar through word-of-mouth, the company wanted to stay connected to this existing customer base and also broaden their network of potential clients. 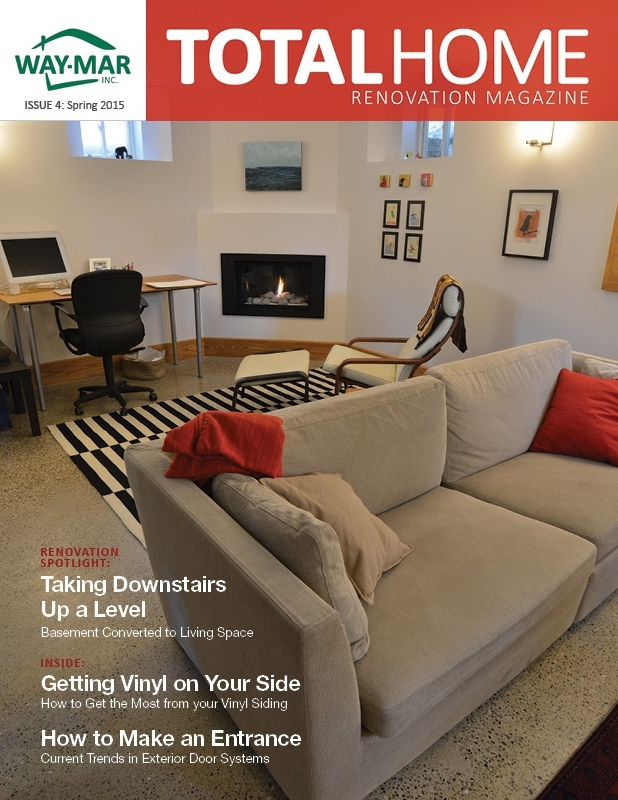 Armed with a steady supply of professional renovation photography and homeowners willing to share their story, Effective Edge came up with the concept of a bi-annual magazine designed to showcase inspiring home renovation ideas as well as customer renovation articles, recent projects and in-depth service and product profiles. 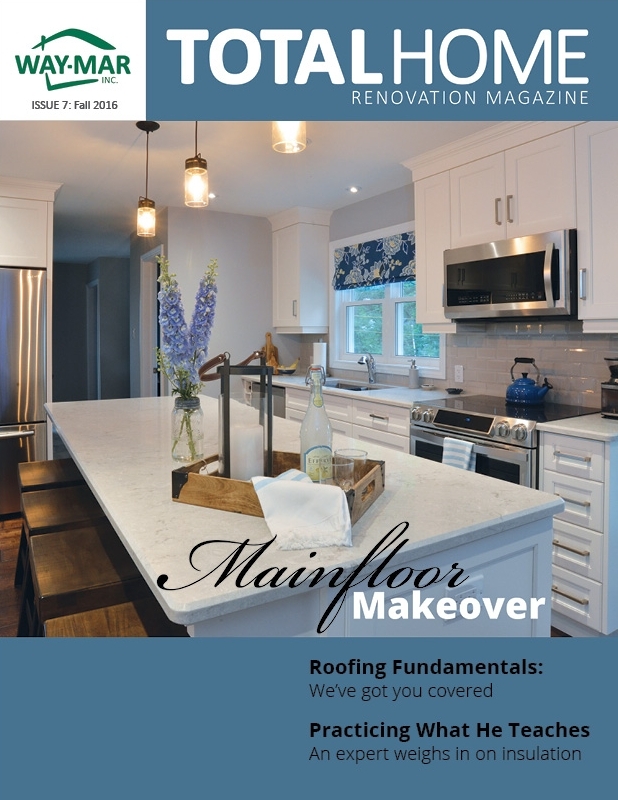 To keep homeowners aware of the kinds of renovations and home improvement services Way-Mar can provide, we created a visually-appealing and interesting magazine that focuses on new content, current renovation trends, beautiful professional photography and engaging copywriting that features homeowners and their renovation stories. 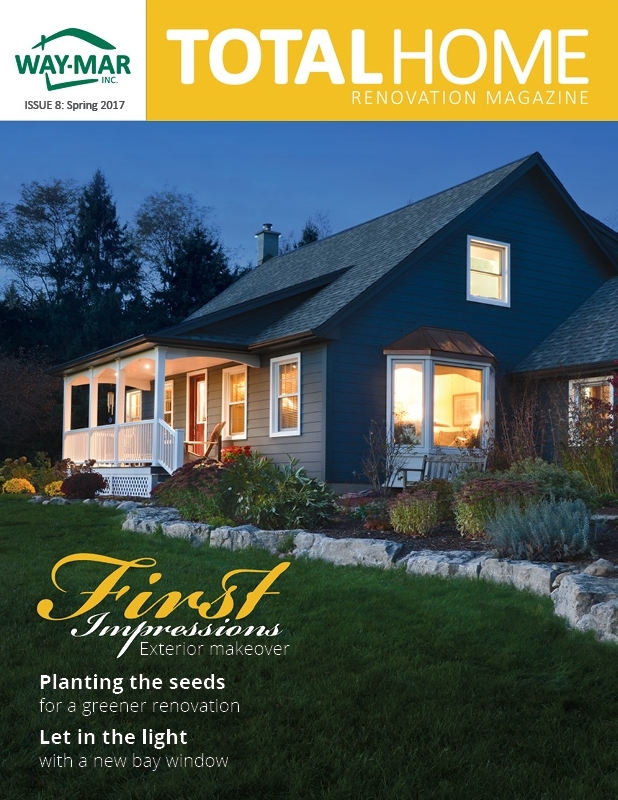 Way-Mar’s Total Home magazine involves professional photography on location, interviews with homeowners and Way-Mar employees, copywriting for feature articles, and graphic design for the magazine’s layout. Plus, a copious amount of proofreading goes into the production of every magazine. 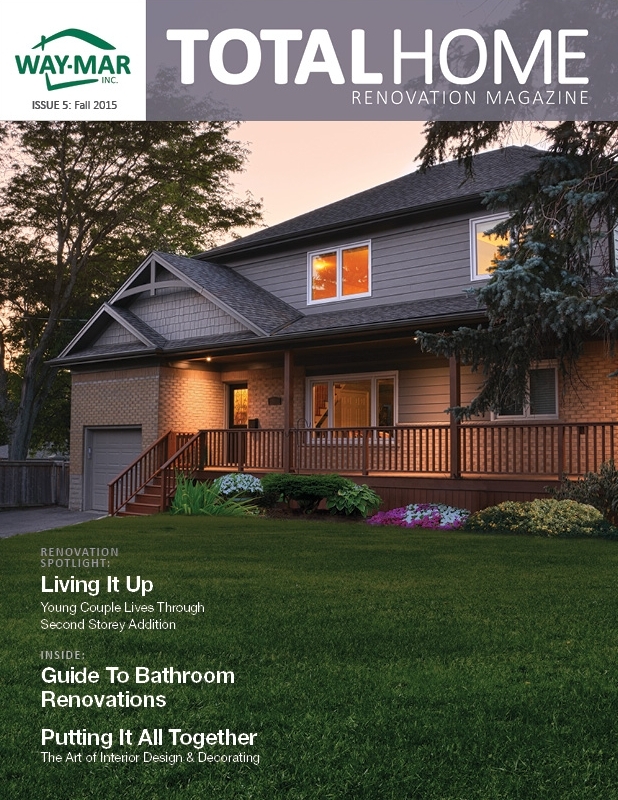 Distributed to more than 6,000 homeowners across Waterloo region and available on the Way-Mar website as an online magazine, the Total Home magazine has been a successful marketing tool since its debut publication in 2013. With unprecedented growth in the home renovation industry over recent years, Way-Mar has found a unique way to stay in touch with customers and showcase their wide range of home improvement services. — Trevor Martin, project manager, Way-Mar Inc.
Good copywriting doesn't happen without research, a solid understanding of your company and products, and a great deal of thinking, writing, and rewriting. As one of the many components that goes into a marketing project, copywriting never takes place in isolation, but rather as part of the collaborative process that includes strategy, design and execution. From the tagline to the heart of the message, we write compelling advertising copy that informs, inspires action, and captures the interest of your customers. When you introduce a new product at a tradeshow, provide a company overview or explain the features and benefits of a program, a well-written brochure is the ideal marketing tool for handing to potential customers, leaving them with something they can take with them. As your most powerful marketing tool, your website deserves nothing less than clear and compelling content. Targeted, persuasive and inspiring content will keep traffic on your website longer, clarify your messages, and contribute to the overall professionalism of your site. We have the ability to craft and distribute media releases to targeted publications so that your company or product news reaches the public. The perfect way to showcase your products and services, a magazine combines well-written content with design and photography for a printed marketing piece that truly makes a lasting impression. At Effective Edge, a catalogue is never just a catalogue. Besides displaying products and product descriptions, the catalogues we create also have visual impact, persuasive content and professional photography. Increase your social media profile with regular, well-written content that keeps your customers in the know. From new product launches and company updates to customer profiles, photos, videos and conversation management, we will write and post content that keeps you active on social media. In today’s connected world, it can sometimes feel like we’re bombarded with too many messages. At Effective Edge, we make it easy for your customers to get right to the point of what you want to say. Clear, concise language across all of your marketing materials is always a good idea. Not only will it set you apart from your competitors and help to attract new customers, but also it lends credibility, authenticity and professionalism to everything you do.